Progress Lighting Prairie Collection Outdoor lantern in gilded iron finish, has aluminum and brass construction for corrosion resistance and durability. 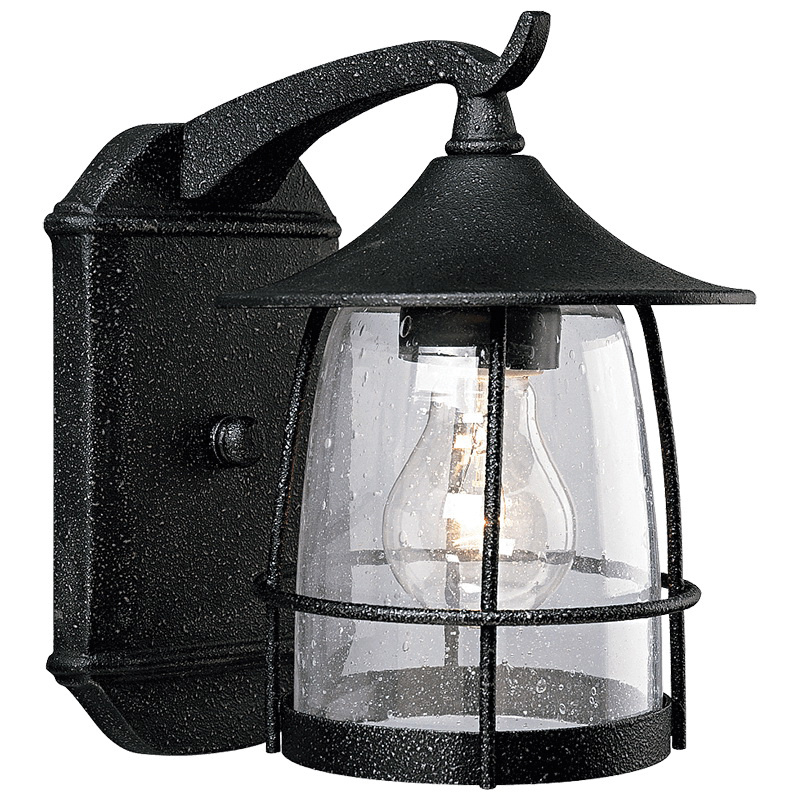 This wall-mountable lantern features clear seeded glass shade. The transitional lantern has a voltage rating of 120-Volts AC. The lantern supports one incandescent lamp with a power rating of 100-Watts. It includes mounting strap for outlet box. This lantern is suitable for use in wet areas. The lantern is cCSAus certified.